Rental Rates Include All Studio Lighting And Accessories From Our Lights & Equipment List. *There will also be a dolly available for use in the studio. Please read the Rental Agreement form below. TetherPro 15 foot(4.6m) SuperSpeed USB 3.0 Male A to Micro B Right Angle Cable is the latest technology available for the fastest and most reliable transfers. To meet the needs of various photographers shooting styles, TetherPro has designed a right angle cable that routes down compatible cameras. Depending on one's shooting style, having a cable coming straight out of the camera may cause interference. Additionally, using an "L" bracket on the camera often interferes with the cable coming out of the port. The TetherPro angled cable is designed to extend down the side of the camera allowing cables to be used during shoots and adapt to one's shooting style and needs. TetherPro SuperSpeed USB 3.0 cables incorporate all of the latest technology ensuring consistent and reliable conductivity. Designed to the highest USB specifications to filter out signal noise and reduce transmission errors, all cables are fully shielded to protect against external signal interference. 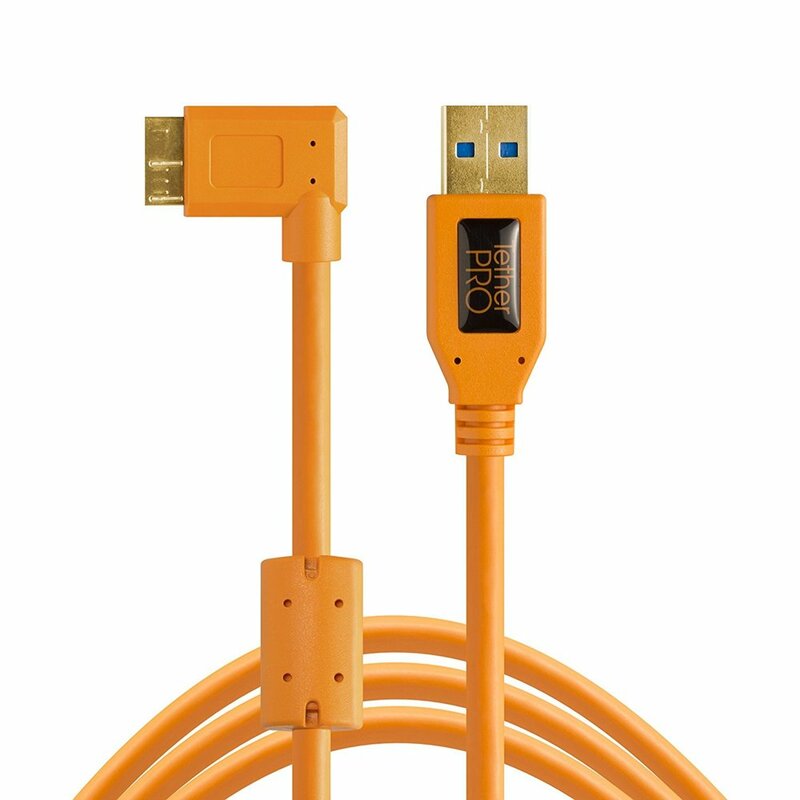 The 15 foot(4.6m) USB 3.0 cable connects to the camera using the micro B connector to ensure delivery of excellent performance. SF-01 blower is a professional product, which is most suitable for shooting of dancing wedding dress, durative stage smoke effect and blowing sand scene in studio. The blower is equipped with wind force control benefiting you a free control on weak and strong force of wind. There is also a remote operation, which has a 3m adjustment and control cable and 5m power cord that enables you to have a remote operation. Use this triangular prism to split a beam of light into its spectral components(the colors of the rainbow). Snoot for Grid and Filterholder. Base Color: Black. 500 lb Capacity. 5 in. heavy duty non-marring casters with revolving bumpers. Steering Handles. 5 ft. base - 14 gauge steel environmentally safe powder coated finish. Top Shelf (15.5 in. D x 56.5 in. L) 24 gauge steel wire. Bottom Shelf (19.25 in. D x 60 in. L) 24 gauge steel wire. Made in USA. 63 in. L x 23 in. W x 79 in. H. This new Split Rail Z-Rack is designed to maximize every inch, stay sturdy, and offer two hanging options. Both sides are 30 in. wide and have 6 ft. of hang space! The 30 in. hang rail is fully adjustable! The VS-570 Commercial Fabric Steamer is Vornado’s answer to the garment industry’s demand for durability and power, along with natural, customizable garment care. With two steam settings, it’s gentle enough for the most delicate fabrics, yet powerful enough for heavy daily use. Featuring a solid-brass boiler and commercial-grade, heavy-duty wiring all enclosed in a rugged die-cast aluminum base, it’s built like a tank but won’t damage your fixtures or walls — a non-marking silicone bumper protects your space.